Many Real Madrid supporters were not happy with the sight of Isco on the bench against Barceolona early today and it seems the Isco wasn't happy either. Dani Carvajal got a red card after he handled the ball in the box 18 and a subsequent penalty made the result safe for Barcelona as Real were beaten in front of their home fans in Madrid. The Spanish MF didn't get the chance in the game, despite Zidane using all three of his substitutes. Gareth Bale, Marco Asension and Nacho all feature from the bench and Spanish publication AS claimed that Isco refused to continue warming up when Real Madrid were chasing the game. The Spanish Publication claimed the sight of Nacho coming on for Benzema prompted Isco to return to the bench and suggested Zidane will have been furious to see his playmaker decline to be subbed on. However, Isco has now hit back at the report and insisted Zidane had already informed him what the final two substitutions would be. 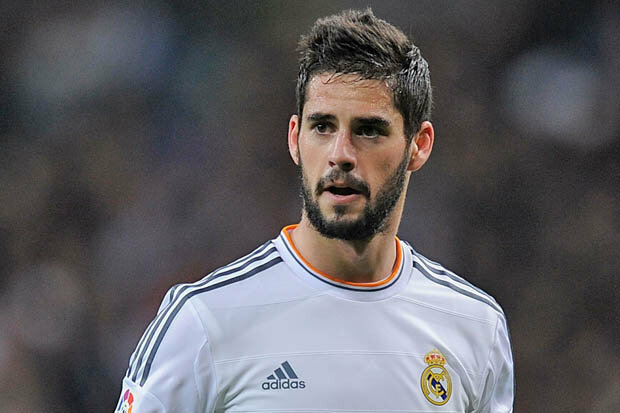 Isco said: "Stop spreading sh** I know my other two team-mates were already going to be subbed on." "I didn't know four substitutions were possible."